Manage web pages and post social, fast. The social media marketing management tool built for digital marketing agencies by an agency. Open program, do social, log out, log in, create content - repeat. We got so sick of the process that we went on the search for a better way. For many, social media for clients is too hard. Too many haystacks, not enough needles. It's time consuming a thankless job. Until Now. website pages, and get back control of your content. 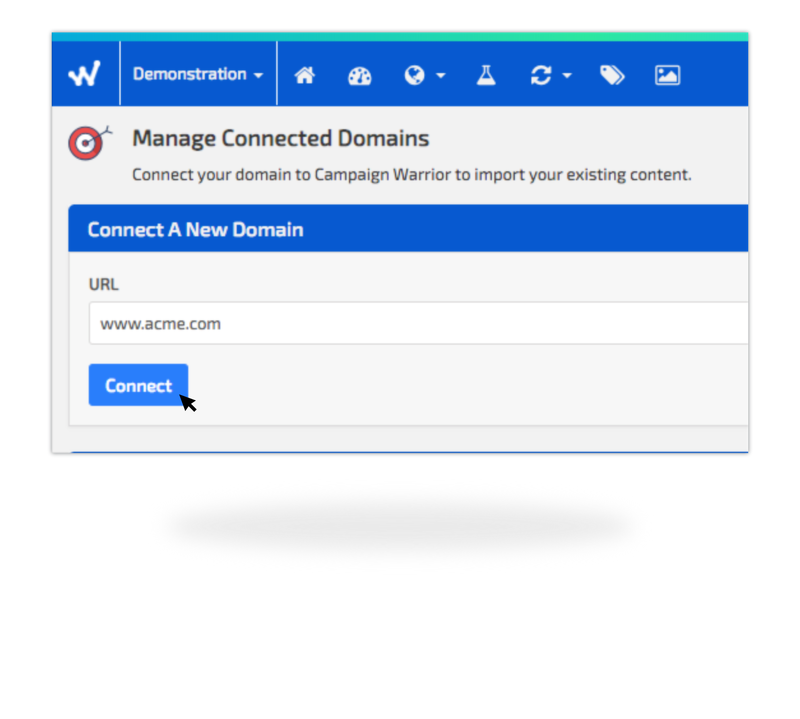 Just connect your domain and harvest all your approved website content. Creating content is a bore. Why not make use of your evergreen content that's already approved - your website. Campaign Warrior scrapes all your web pages, then delivers you a neat tracking code to automatically add future additions. Scrape once, and forever get access to your data. from inside one powerful software app. Multiple Portals, quickly create one environment for each of your clients. 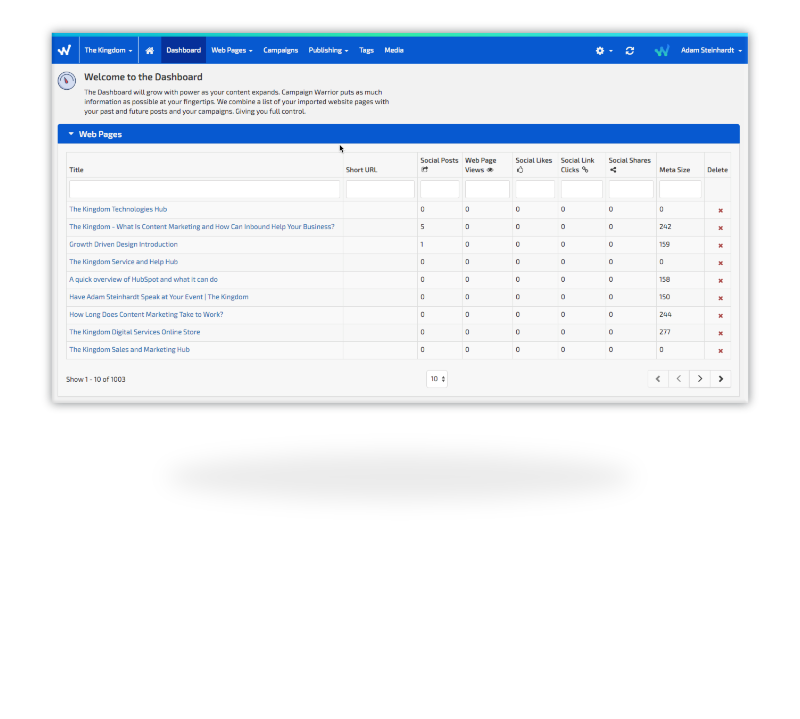 Campaign Warrior lets you manage brands, agents, store locations and team members all in seconds. Flick between your social accounts at light speed as you get your entire marketing effort unified, coordinated and in one place. Are you an agency managing multiple businesses? Campaign Warrior lets you deal with them all in one App. Does your enterprise have multiple brands? 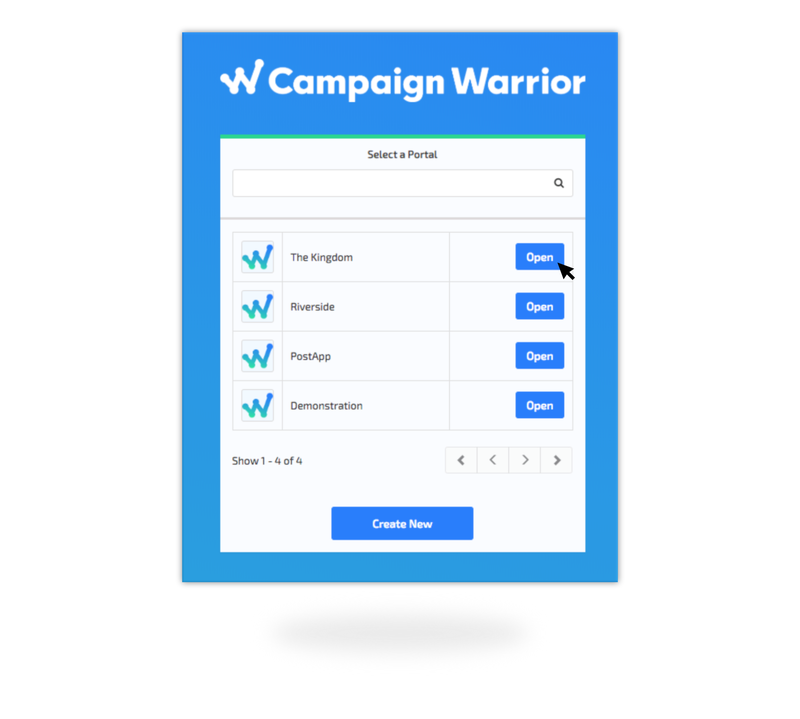 Use Campaign Warrior to manage all brands quickly, and easily. from your website and post it fast. Creating hundreds of social posts is a chore, especially if you have to do it non-stop all day for a busy enterprise. Save time by repurposing your former content. Many businesses spend thousands of dollars building websites and e-commerce sites, then launch them and forget about them. Thousands of words are handcrafted to speak the benefits of your business, yet how are you amplifying this content? Often websites are published and forgotten. This is content that still adds value to the customer journey and continues to. While it is fresh to the business on day one, if it is adding value to the client then is this content not still valuable and new? Evergreen social content with links back to the source website generates more traffic. Social posting with links to your evergreen content gets more free clicks to your website. We make it faster to create content by giving easy access to your evergreen content. 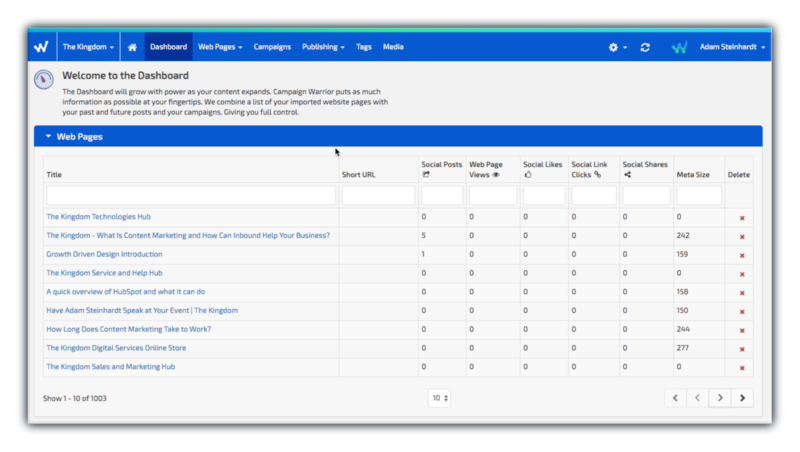 Campaign Warrior searches the web for your website pages and quickly shows you how they rank. From there, Campaign Warrior discovers past content and puts it at your fingertips to tweak and publish again - fast. 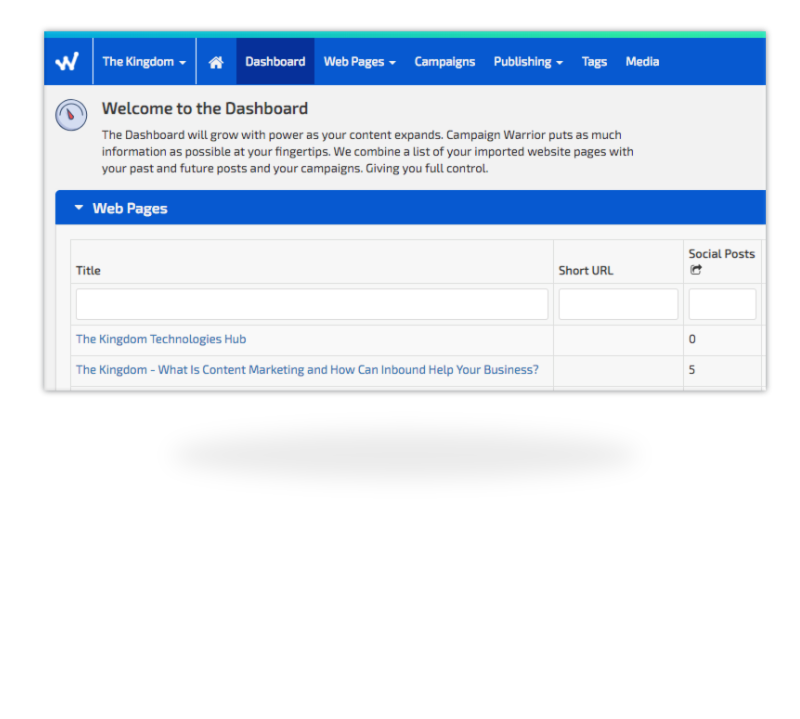 Add multiple tags and flexible campaigns and get your content working in harmony. With our powerful social media automated posting tools, save time, while getting more clicks to the websites you manage. and drop out of social media posting.